What have you been putting off in life lately? 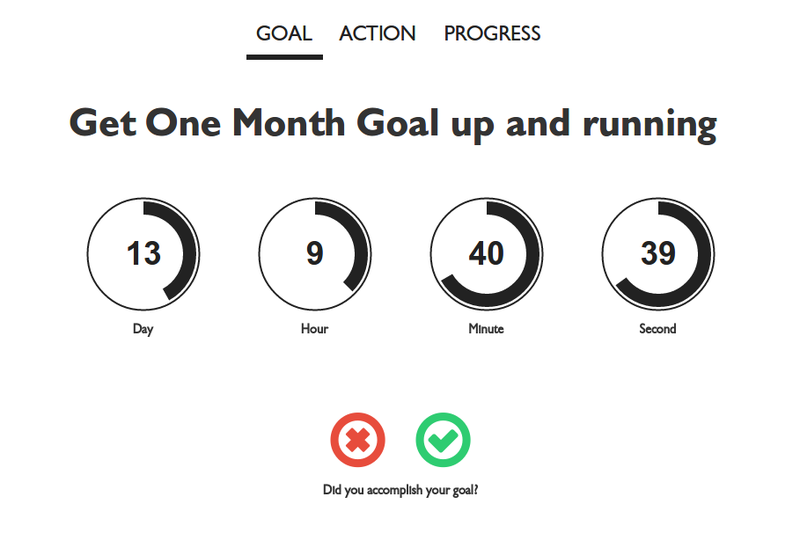 One Month Goal is a platform for people who give a damn about making progress towards their goals and helping others along the way. So let's get real here. You have goals to pursue but dread the work to make them happen. You're pretty creative when it comes to generating excuses just to avoid taking action. You're also convinced that you have all the time in the world to put them off to Someday Maybe. Except, that day will never arrive. The stars will never align. And by then, it would already be too late to turn back. All you're left with is just frustration and regret. Oh, bummer. What's really stopping you in the first place? Lacking motivation to get started? Lacking accountability to keep you on track? Feeling overwhelmed by everything and resorted to doing nothing? This is the moment. You're going to do something about it, like right now. 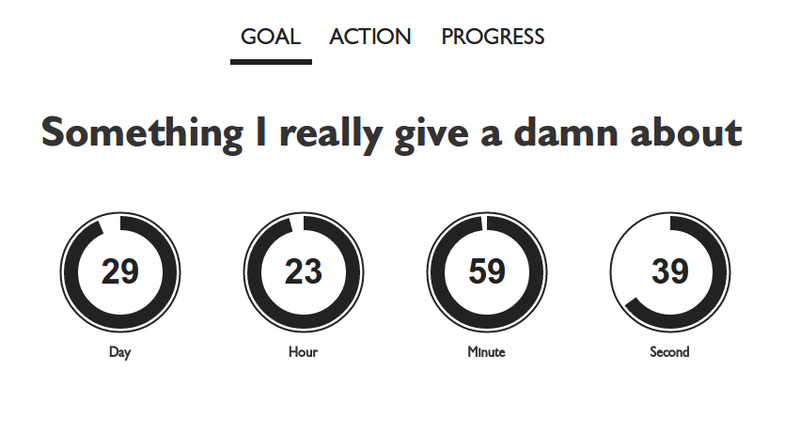 From this day onwards, start giving a damn about all the things you've been putting off in life. It's all about the focus. 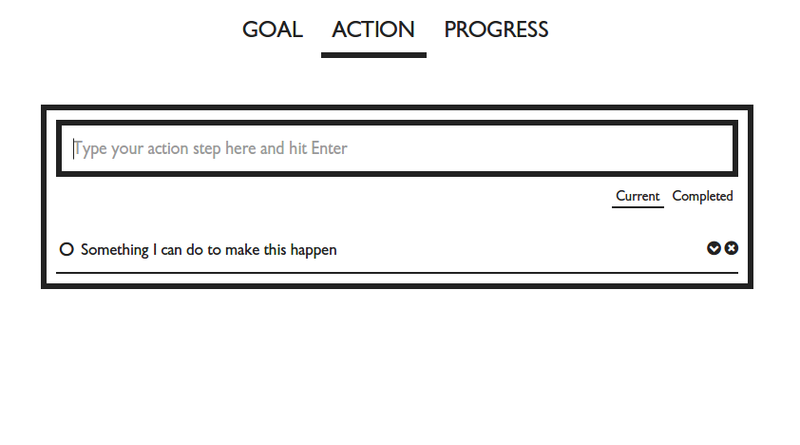 Just one goal for a month. Think hard about what you really want to achieve. Make it matter. And make sure it has a measurable outcome. What's your plan of attack? What's the first step you can take to get you closer to achieving your goal? Start filling it out. Make moves. Take on massive action. Need accountability? 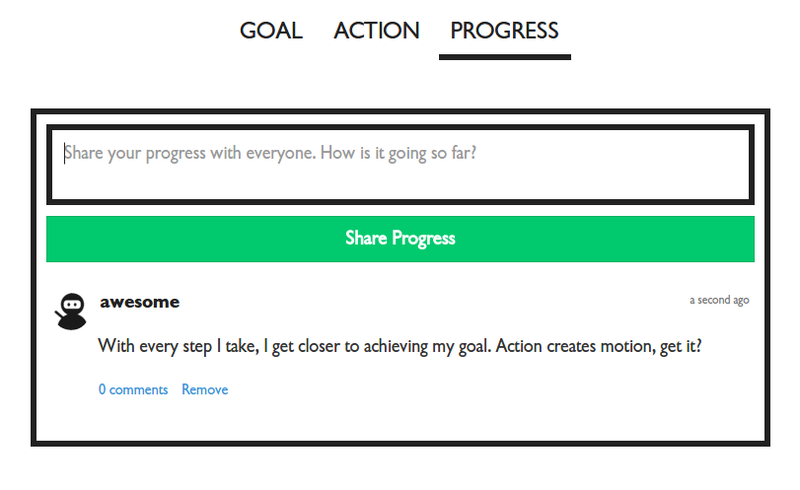 Share your progress as you go along. Put yourself out there. Let others cheer you on and provide you the support you need to go far. No one says that it's going to be easy. You'll struggle, fall and stumble. But you don't have to do it alone. As a community, we're here to help each other close the gap between where we are and where we want to be. Want to be a part of it? Right on! So let's make progress, together.